Sapphire is the author of American Dreams, a collection of poetry which was cited by "Publishers Weekly" as, "One of the strongest debut collections of the nineties." Push, her novel, won the Book-of-the-Month Club Stephen Crane award for First Fiction, the Black Caucus of the American Library Association's First Novelist Award, and, in Great Britain, the Mind Book of the Year Award. Push was named by the "Village Voice" and "Time Out New York" as one of the top ten books of 1996. 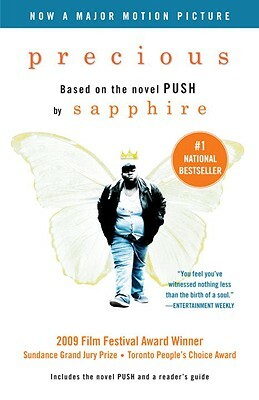 Push was nominated for an NAACP Image Award in the category of Outstanding Literary Work of Fiction. About her most recent book of poetry "Poet's and Writer's Magazine" wrote, "With her soul on the line in each verse, her latest collection, Black Wings & Blind Angels, retains Sapphire's incendiary power to win hearts and singe minds." Sapphire's work has appeared in "The New Yorker," "The New York Times Magazine," "The New York Times Book Review," "The Black Scholar," "Spin," and "Bomb." In February of 2007 Arizona State University presented "PUSHing Boundaries, PUSHing Art: A Symposium on the Works of Sapphire." Sapphire's work has been translated into eleven languages and has been adapted for stage in the United States and Europe. "Precious," the film adaption of her novel, recently won the Grand Jury Prize and the Audience Awards in the U.S. dramatic competition at Sundance (2009).